← 2013 West Chester Story Slam Finale! Check out all the awesome events Downtown West Chester has in store this November weekend! For more information visit http://www.downtownwestchester.com. West Chester Public Library Celebration | Saturday, November 9, 2013: Big birthdays like this don’t come along often, so a fun time is planned to help celebrate the West Chester Public Library’s 125th birthday. 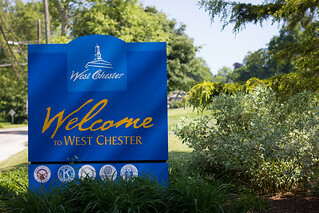 The gala celebration takes place from 6:30-10:30pm at the Chester County Historical Society, 225 N High St, and includes a cocktail hour, dinner and dancing. See ticket and sponsorship opportunities. Masters of Motown at WCU | Saturday, November 9, 2013: WCU Live! presents the entire Motor City experience with Masters of Motown, one of the great experiences in musical history. The 10-member cast includes three female vocalists and three male vocalists supported by a live back-up band. Together they reproduce an authentic style and sound that made Motown what it is. Show begins at 7:30pm with reserved seating at Emilie K. Asplundh Concert Hall, Philips Memorial Building. Veterans Day Parade | Sunday, November 10, 2013: Honor the veterans of American wars starting at 2pm on Gay Street. Memorial ceremony at 3:00pm. See details at Veterans Day Parade. West Chester Railroad Fall Foliage Adventure | Sunday, November 10, 2013: Enjoy a brisk fall afternoon along the Chester Creek Valley from the comfort of an excursion train that takes you on a 90-minute journey to the village of Glen Mills and back. See West Chester Railroad for details.